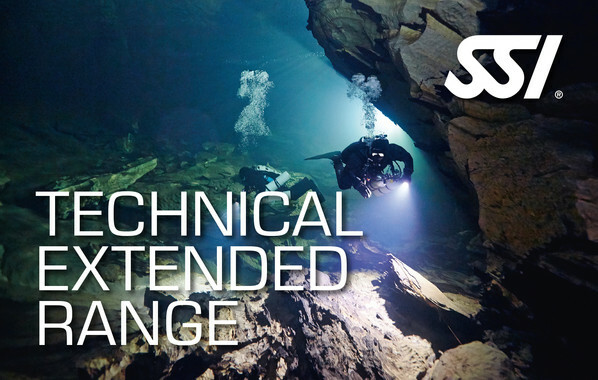 For experienced divers who want to go a step further, the SSI course “Technical Extended Range" is the program of choice. As part of the course, you will learn how to work together with a qualified dive buddy in new dive domains. After completion of the course, you will be able to dive together with your dive buddy at up to 60 meters depth with two gas changes and several decompression stops.